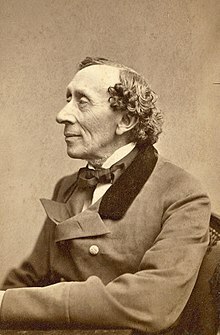 Hans Christian Andersen (/ˈhɑːnz ˈkrɪstʃən ˈændər.sən/; Dens: [ˈhanˀs ˈkʁæsdjan ˈɑnɐsn̩]; eften referred tae in Scandinavia as H. C. Andersen; 2 Aprile 1805 – 4 August 1875) wis a Dens scrievor. Hes greatest wirk was ''The Wee Selkie''. It's bin tourned inta operas and balleys and muvies an a' sorts. This page wis last eeditit on 2 Juin 2018, at 15:04.